Cal Poly Pomona Tasting & Auction will take place on May 5, 2019. Early bird tickets for the 12th annual Cal Poly Pomona Tasting & Auction will go on sale on Feb. 18. The early bird rate is $75 and will be available through March 31. Enjoy delicious food from dozens of Southern California restaurants, great wine and craft beer, entertainment, and live and silent auctions at the May 5 event. Proceeds will benefit Cal Poly Pomona students and academic programs. Last year, the winners of the People’s Choice Awards were The Restaurant at Kellogg Ranch, Brio Tuscan Grille and Scoops on Tap. Favorite breweries included Innovation Brew Works, Golden Road Brewing and Rök House Brewing. 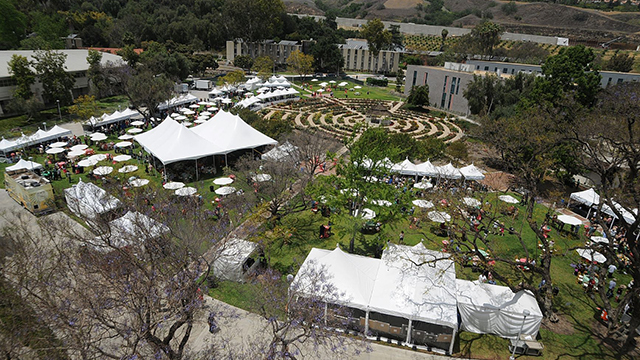 Ticket prices for Cal Poly Pomona Tasting & Auction rise to $100 on April 1. All guests must be 21 or older. For tickets and more information, go to http://tasting.cpp.edu.